Ebola. Bomb threats. Terrorism. If you’re tuned into the 24-hour news media, it seems like there’s no shortage of reasons to avoid Africa. But you might also be passing up the greatest vacation of a lifetime. 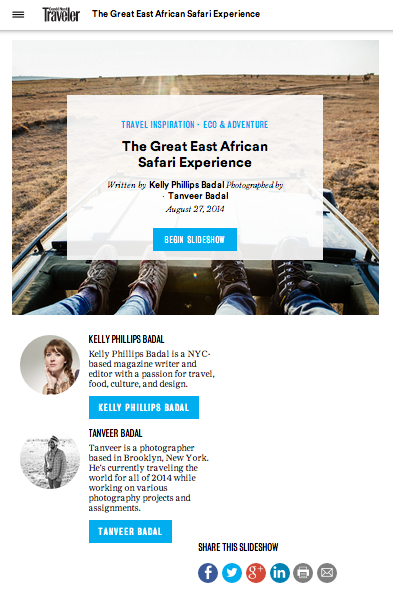 Photographer Tanveer Badal and writer Kelly Phillips Badal recently journeyed through Kenya and Tanzania to find exotic wildlife, adventure, and hospitality in some of the finest luxury safari lodges in the Dark Continent.